Celebrate the Holidays with the Union County Historical Society December 16th 2018. Every year during the holiday season the museum gift shop sells a variety of handcrafted Christmas ornaments and other holiday items. Come get yours while supplies last. 11:00AM - Open house at the Old Courthouse, Mock House, and Annex. 1:00PM - Bake Sale with hot chocolate on the square. 1:00PM - Hot Dogs, Chips, and Drinks on the square. 4PM - 6PM - Santa's Workshop, Reindeer games, food, music and more! 6:00PM - The Nighttime Christmas Parade starts. 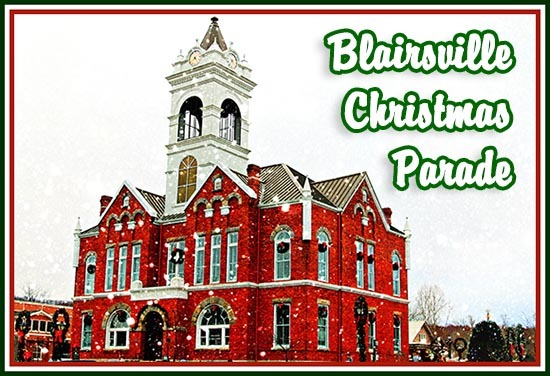 Following the parade there will be a tree lighting on the square.